Poll: Was Palin's resignation a smart move? A new poll out Tuesday suggests 61 percent of Americans believe Sarah Palin's decision to step down as Alaska governor was a bad political move. (CNN) - A new national poll suggests that most Americans don't think Sarah Palin's decision to step down as Alaska governor was a smart political move. Sixty-one percent of people questioned in a Marist survey released Tuesday say Palin's resignation was a bad political move, while 15 percent feel it helps whatever political aspirations last year's Republican vice presidential nominee may have in the future. Eleven percent said it makes no difference, and 13 percent were unsure of its impact. Even among Republicans, 51 percent think the move hurt more than helped, with one in five GOP voters saying it was a smart move. Palin, who stepped down last month as Alaska governor with a year and a half left in her first term in office, has been non-committal about any aspirations to run for national office, but she says that she wants to campaign across the country for candidates with ideas that she supports. According to the poll, 43 percent hold an unfavorable view of the now-private citizen Palin, with 37 percent seeing her in a positive light and one in five unsure. 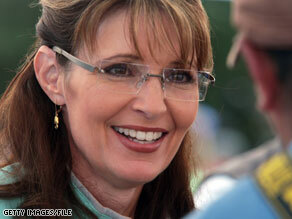 Among Republicans, Palin has a 73 percent favorable rating, with 16 percent holding an unfavorable view. Independents appear split, and Democrats overwhelmingly hold an unfavorable opinion of Palin. A CNN/Opinion Research Corporation national survey conducted at the beginning of August had similar results on Palin's favorability. "Our early August poll had Palin's favorable rating at 39 percent, with 48 percent holding an unfavorable view," says CNN Polling Director Keating Holland. "So both show her just about as popular as Dan Quayle was a few months after the Bush/Quayle ticket went down to defeat in 1992." Quayle declared himself a presidential candidate in 1994, but dropped out of the race in February, 1995. Palin's resignation last month fueled speculation about a possible run for the White House. When it comes to a hypothetical matchup for the 2012 GOP presidential nomination, the Marist poll suggests a dead heat among three possible contenders, with 21 percent backing former Massachusetts governor and 2008 Republican presidential candidate Mitt Romney, 20 percent supporting Palin, and 19 percent backing former Arkansas governor and 2008 Republican presidential candidate Mike Huckabee. That's consistent with most other national surveys of the 2012 race conducted this year. The Marist poll was conducted August 3-6, with 938 U.S. residents questioned by telephone. The survey's sampling error is plus or minus 3.2 percentage points for the overall sample, and plus or minus 5.5 percentage points for questions only asked of Republicans. Who cares? She left. She's a quitter. She remains uninformed about serious issues. She's waste of time. Are we recycling poll questions now? I thought this question was asked already. CNN...THE NEW "RAG" IN NONE CARING ISSUES!!! just give cnn gossip an loons, who cares about news any more? Will the media ever shut up about this moron? Funny.....all the name calling and smearing, but she posts a letter on facebook and the dems remove "end of life" language from the bill. Palin scares the He!! out of the dems and she WILL be a force to be reckoned with in the future. She's in the news more than anyone in Obama's cabinet while the liberals shout "who cares"?? It seems pretty obvious to me that they care A LOT. Am sure Americans have more important things to worry about than sitting down and trying to figure out if Palin made a right or wrong move. Good for her either way. To use a popular Republican term, didn't she "cut & run"?